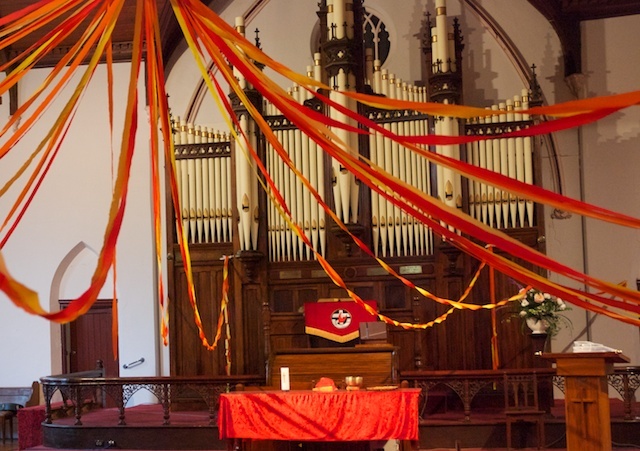 Ribbons of red, yellow & orange which gather in a centre point of the ceiling move out to surround the worshipers. Feeling as if the toungues of fire envelop us all and our worhip. This entry was posted in Installations, Pentecost and tagged fire, Pentecost on April 24, 2012 by Mark.